At the Museum Reserve one can view the exhibit “The Gauja Livonians as part of Latvia’s cultural history” (Latvian: Gaujas lībieši Latvijas kultūrvēsturē). It is on display in the former house of the Turaida manor’s gardener. 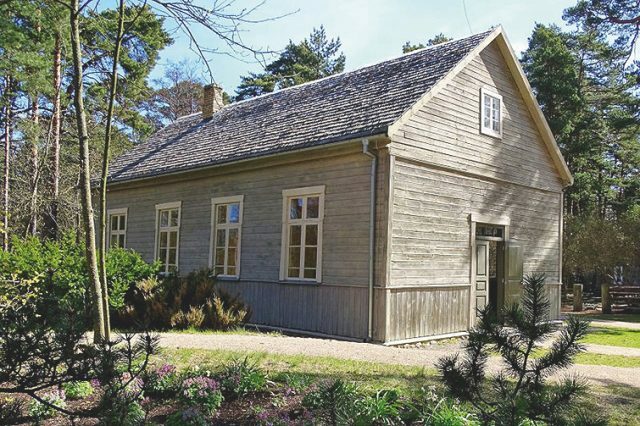 The study of Gauja Livonian heritage is one of the focuses of the Turaida Museum Reserve, as it is located in the centre of the ancient Turaida Livonian region. The exhibit has information on the coastal Finno-Ugrian culture, which was well-represented in the Turaida area in the 11th-13th centuries. Turaida Museum Reserve. Publicity picture. The Pāle Local History Museum is located in Kalnakrogs in Pāle rural parish (pagasts) in the Limbaži municipality (novads). It is the only museum in Latvia with an exhibit about the history of the Vidzeme Livonians and with information on this region’s Livonian families. In 2002, the museum began research to identify the descendants of the Vidzeme Livonians. The results of this work showed that the descendants of this area’s Livonian families continue to live not only around Svētciems, but also across Latvia and beyond. This museum acquaints visitors with the Livonian cultural heritage present in the Salaca area and with the history of Staicele. The Salaca Livonian Culture and Information Centre Pivālind opened on March 27, 1999. In 2005, it became the Staicele Livonian Museum Pivālind. In this museum, founded in 1924, one can visit the Kurzeme Livonian Dēliņi farmstead moved here from Lūžņa. The farmstead was opened to museum visitors in 1971. The main house, the beekeeping equipment storage shed, the granary and clothing shed, the fish shed/coach house, the cattle shed/barn with ramp, the storage shed, and pigsty were all transported to the museum from Lūžņa. The collection of household items, fishing equipment, and tools given to the museum by Livonian speaker Poulīn Kļaviņa (Paulīne Kļaviņa) can also be viewed here. She had originally put together this collection at her home at Ozolnieki farmstead in her native village of Vaide. 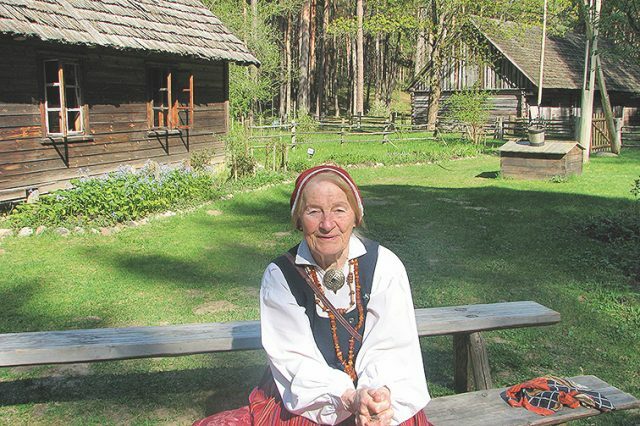 Edroma Velde in Livonian homestead “Dēliņi” at Latvian Ethnographic Open-Air Museum. Picture: Baiba Šuvcāne. This museum was established in 1954, but opened to visitors in 1962. At the museum visitors can learn about the fishing traditions of Kurzeme. A Livonian village farmstead, a replica of the historic Mazirbe train station, and the Lielirbe Baptist Church, which was moved to the museum in 2011, are also on display here. Lielirbe baptist church in Seaside Open-Air Museum in Ventspils. Founded in 1909, the Estonian National Museum stores the material collected by Estonian researchers during their 20th century expeditions to the Livonians including ethnographic objects, photographs, and expedition diaries. Estonian National Museum in Tartu. Publicity picture. 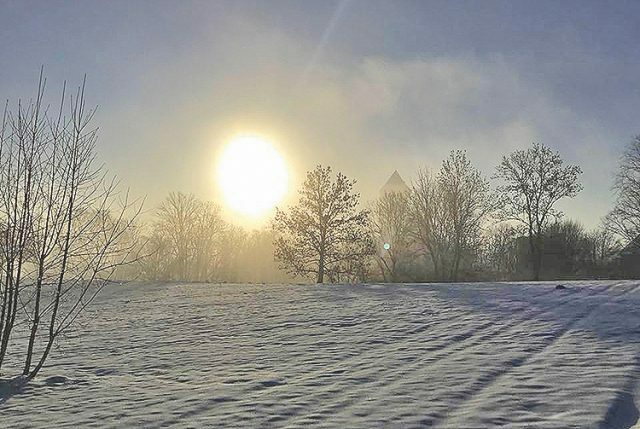 The audio archive of the Institute of the Estonian Language (Tallinn) has a sizeable collection – 321 hours – of recordings in Livonian. This museum contains the Livonian folklore collected by Oskar Loorits, the letters written to him by the Livonians, and also photographs. In the Finno-Ugrian collection of the Museum of Cultures, located in the Finnish capital of Helsinki, there are items relating to Livonian traditional culture, which were collected by Finnish researchers E. N. Setälä, A. O. Heikel, and L. Kettunen during their expeditions at the beginning of the 20th century. 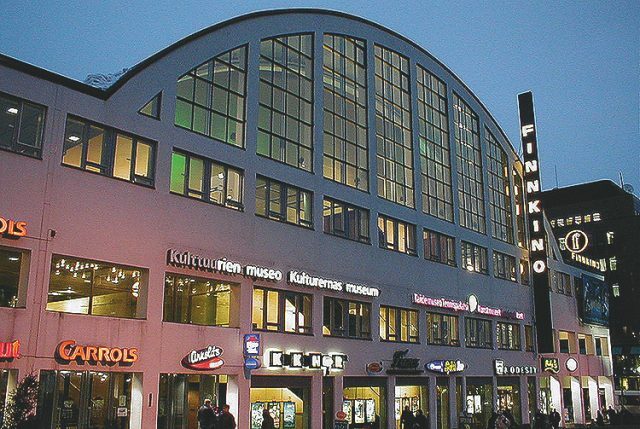 Museum of Cultures in Helsinki. Publiciy picture.